RAM Mount - UNPKD RAM 2-1/2" DIA. 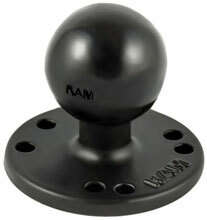 BASE RAM MOUNT PRODUCTS HAVE A 10-12 WEEK LEAD TIME. The RAM Mount RAM-202U is also known as RAM-RAM202U	or RAM202U	.